Volvo Ocean Race sustainability programme has received award honours at the prestigious international 'Beyond Sport Awards', in New York. Bluewater is hugely proud to have been a partner for the programme, which won in ‘The Best Corporate Campaign or Initiative in Sport for Good’ category. The programme, which aligned to the UN Sustainable Development Goals, saw the race work in partnership with Founding Principal Sustainability Partner 11th Hour Racing, Principal Partner the Mirpuri Foundation, UN Environment’s #CleanSeas campaign as well as other main partners, Volvo, AkzoNobel, Bluewater, Stena Recycling and Ocean Family Foundation. 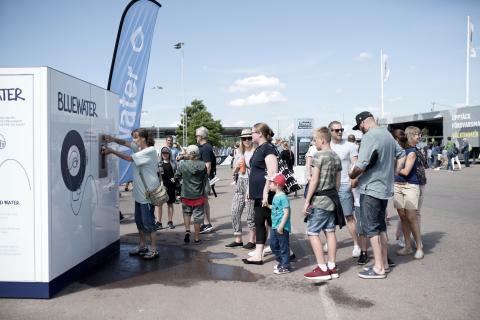 “The Volvo Ocean Race enabled us to showcase in real-life at each Race stopover how Bluewater is already today turning words into action to deliver sustainable drinking water to people and businesses in heavily populated urban environments regardless of the quality of the water source," said Anders Jacobson, President and chief strategy officer at Bluewater. As a world leader in water purification technologies and solutions, Bluewater found a natural partner in the Volvo Ocean Race to promote the company’s sustainability mission to halt the need for single-use plastic bottles by harnessing human ingenuity, innovation and technology. With the United Nations predicting a 40% shortfall in global water supply by 2030, Anders Jacobson said Bluewater hydration stations traveled the world with the Volvo Ocean Race to promote community awareness about the huge environmental problems sparked by the unmitigated use of throwaway plastic water bottles and to demonstrate an accessible, affordable alternative already exists. 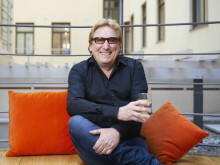 "Bluewater’s direct and scalable sustainable solutions generate pure water in large quantities for people at point-of-use, both cleaning the water of all known contaminants and ending the pollution caused by transporting billions of plastic bottles every year over large distances,” Mr. Jacobson said.